December 4, 2013 - It happens to all of us – including Latino Americans who should know better. When we think of Spanish conquistadors, we usually are drawn to their exploits in the Caribbean, Mexico and South America, seldom paying attention to those who came to the land now known as the United States. Because their North American accomplishments are generally omitted from American history – only because they happened before the Mayflower – even U.S.-educated Latinos are ignorant about the great achievements of their Spanish ancestors. Before the Pilgrims, Spanish explorers had celebrated other Thanksgiving ceremonies in North America. They had charted our entire Atlantic and Pacific coasts, and explored the territories that are now Florida, Georgia, Alabama, South Carolina, North Carolina, Tennessee, Mississippi, Arkansas, Louisiana, Texas, New Mexico, Arizona, Colorado, Oklahoma and Kansas. Spanish explorers had been here for a whole century before the Mayflower arrived. And on those rare occasions we do recognize that many came north from the Caribbean and Mexico, we forget just how far north they came! We generally think of Florida, the Southwest and California, but should know better, especially Latinos from the Northeast. Surely, it is safe to assume an overwhelming majority of Northeastern Americans, including those with the last name Gomez, don't know they live on territory once bearing a Hispanic name. And when they cross the Hudson River, they have no clue that long before it became the Hudson, it was called "El Rio San Antonio." 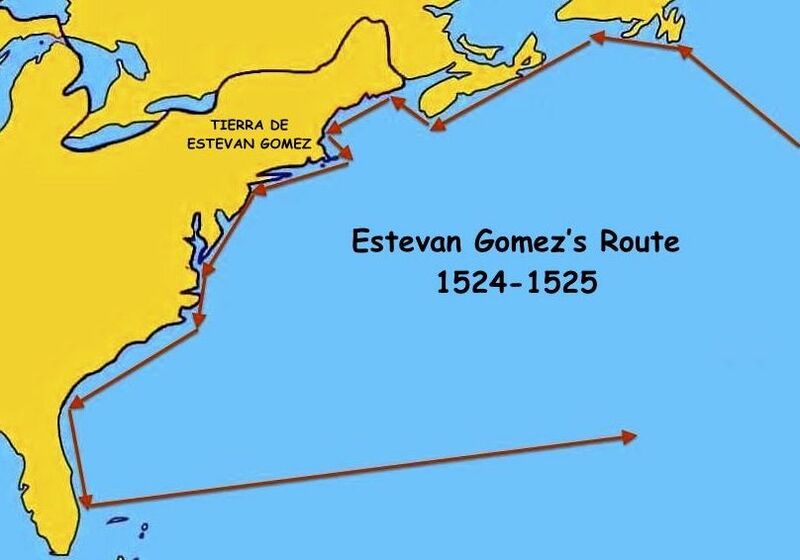 Some historia: Estevan Gomez was a Portuguese ship captain and cartographer who sailed for Spain and explored North America's Atlantic coast – from Newfoundland to Florida – in 1524 and 1525. He set out searching for the Northwest Passage – the sea route connecting the Atlantic and Pacific oceans – but did not find it. Though as a result of his expedition, Europe gained its most accurate map of North America. It was because of Gomez's charts, discovery of major North American rivers and other landmarks that Diogo Ribeiro, another Portuguese cartographer living in Spain and working for Charles V, was able to draw an outstanding outline of the East Coast. Published in 1529, Ribeiro's hand-drawn world map prominently identified America's northeastern region as "Tierra de Estevan Gomez," indicating that it belonged to Spain. And Europe followed this map for most of the 16th century and part of the 17th. It was eventually displaced by other maps created following the British conquest of New England. Born Estevao Gomes in northern Portugal in 1483, Gomez was a sailor in his homeland during his youth. He moved to Spain as a young man and in 1518, was appointed an official Spanish ship pilot by the Casa de Contratacion, Spain's office of overseas affairs in Seville. Just one year later, he became the captain of the San Antonio, one the ships in Ferdinand Magellan's expedition to circumnavigate the world. Europeans were searching for a faster route to the Indies than the Portuguese route around the Cape of Good Hope. Magellan's expedition held a lot of promise for reaching the Indies by going around South America. 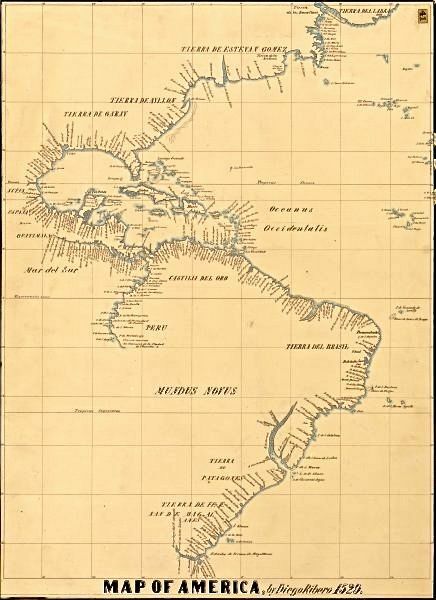 But Gomez refused to sail through the dangerous straits near the southern tip of South America (later known as the Straits of Magellan) and deserted the expedition, returning to Spain, where he was jailed for mutiny in 1521. 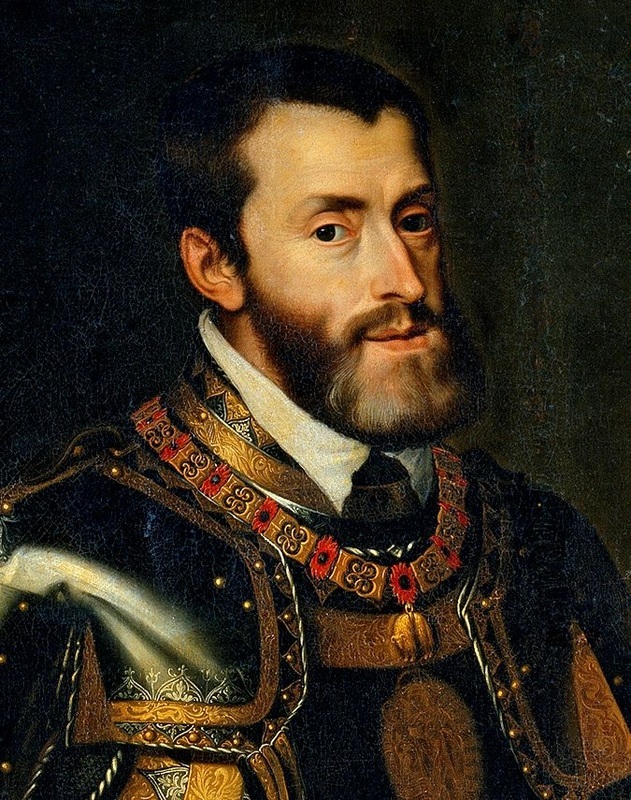 He remained in prison until he was able to convince Charles V that the Straits of Magellan were too distant, stormy, cold and perilous for a trade route, and that he could find a faster route somewhere between Florida and Newfoundland. Magellan's voyage achieved its objective of circumnavigating the world – and gave Spain access to the East by conquering the Philippines – but it failed to find a faster route to the Indies. And because Gomez had been claiming, even from prison, that he could find a better water route across North America, the king, mindful that other European nations were also seeking such a passage, released Gomez from prison in 1523 to lead a new expedition. 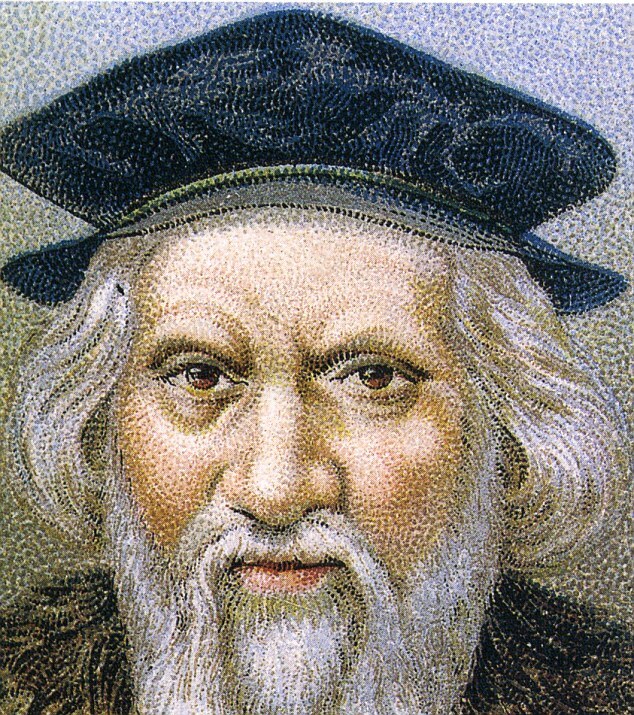 John Cabot, an Italian who sailed for England, already had attempted such a journey from 1497 to 1498 and failed. And Giovanni da Verrazano, an Italian who sailed for France, already was trying, perhaps unbeknown to Spain, in 1524. Nevertheless, a new 50-ton caravel, La Anunciada, was built for the Spanish expedition, and near the end of 1524, Gomez led a crew of 29 mostly Basque fishermen from La Coruña, in Galicia, Spain, to the northeastern shores of America. They traveled across the Atlantic until they were stopped by a sea of ice near Newfoundland in February 1525, and then southward along today's Canadian province of Nova Scotia and America's Atlantic shoreline. Some historians argue that they followed the south-to-north track of other explorers who sailed from the Caribbean, but most agree they did it in reverse – from north to south. Traveling for about six months along the American Atlantic coast always looking for a westbound strait, Gomez and his crew entered the mouths of our biggest East Coast rivers, eventually reaching Florida in August 1525 without finding one. In a foolish attempt to make up for his failure to find the passage, Gomez returned to Spain in the fall of 1525 with some 50 Native Americans his crew had abducted (somewhere around Narragansett Bay, R.I.) and held as slaves. But Charles V would not condone such behavior and forced Gomez to set the Native Americans free. Yet, like many other Spanish conquistadors, who kept coming back to the New World even after suffering amazing setbacks, Gomez was not done exploring. 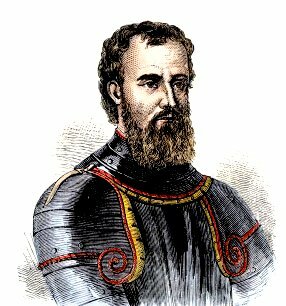 In 1535, he joined Pedro de Mendoza's expedition to Rio de la Plata in South America, where he was killed by Indians on the Paraguay River in 1538. But why don't Americans know more about Estevan Gomez? Why is he ignored by most modern historians? Why is his story either omitted or treated with contempt? It surely can't be because Gomez held slaves; it was common practice for many 16th- and 17th-century European explorers. Not to mention American history flaunts the accomplishments of many prominent historical figures who were also slave owners and upheld the barbaric practice of slavery for more than 200 years after Gomez. So has Gomez been vanished from American history because he sailed for Spain? Is he a victim of the Black Legend, the age-old campaign to demonize Spanish explorers while minimizing the atrocities of their British, Dutch and French counterparts? Is it because the Gomez story proves Spanish roots were planted in New England before even the British arrived? Does Gomez not deserve to be recognized at a much higher level among North America's early explorers? Some historians note that when Gomez entered New York Harbor and saw the wide river on the west side of Manhattan, he called it "El Rio San Antonio." 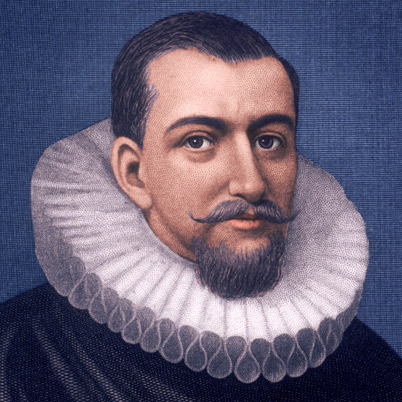 Of course, that was some 84 years before Henry Hudson, a British sea captain who sailed for the Dutch, explored that river (still looking for the Northwest Passage), and many more years before that river was renamed after Hudson. Go figure! Gomez sailed into New York Harbor only a few months after Verrazano and 40 years before Hudson was born. In the 16th century, the entire Northeast was named after Gomez. But somehow, the river ended up with Hudson's name, Verrazano got a bridge named after him, and Gomez got nada. "La Tierra de Estevan Gomez" became part of our hidden Hispanic heritage. DIOGO RIBEIRO'S 1529 WORLD MAP --to see an enlargement, click on the map!